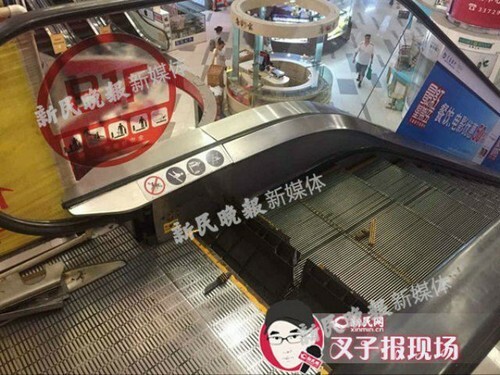 Two steps on a running escalator in a mall in north-eastern China's Shenyang city suddenly caved in on Monday afternoon, shocking passers-by. No one was using it at the time. 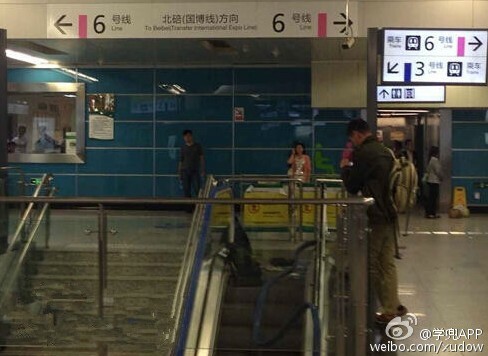 "Suddenly, there was a loud rattling and then someone shouted: 'Escalator has opened its mouth, stop it quickly!' 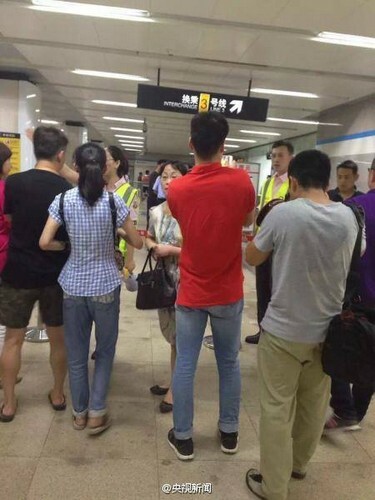 " a woman told a Shenyang Evening Daily reporter who rushed to the scene. 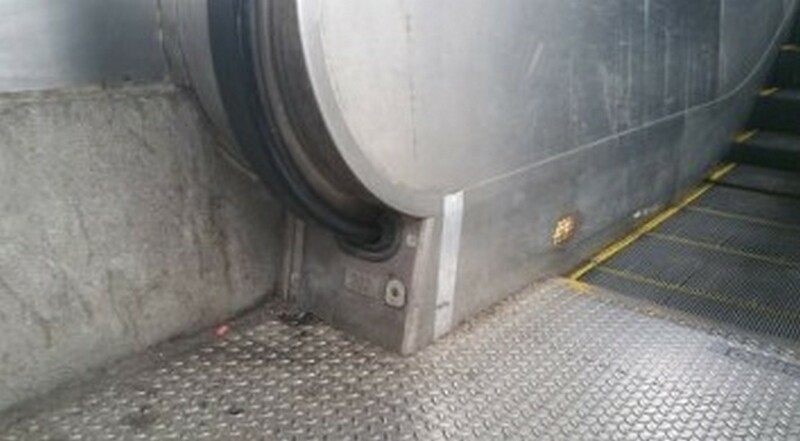 Later, the reporter saw repairmen remove two bent panels from the holes in the escalator. 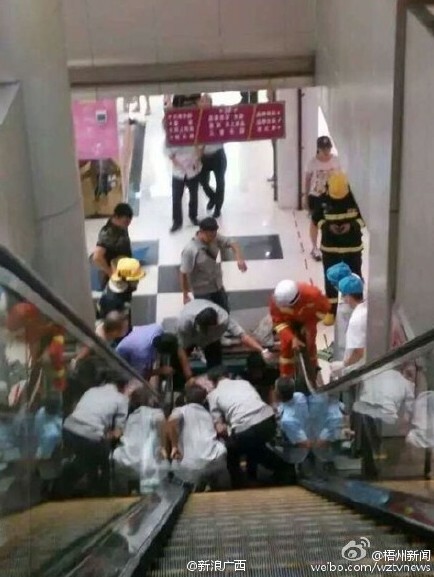 Last month, a young woman was killed when she fell into a hole on an escalator at a mall in central Hubei province's Jingzhou city. 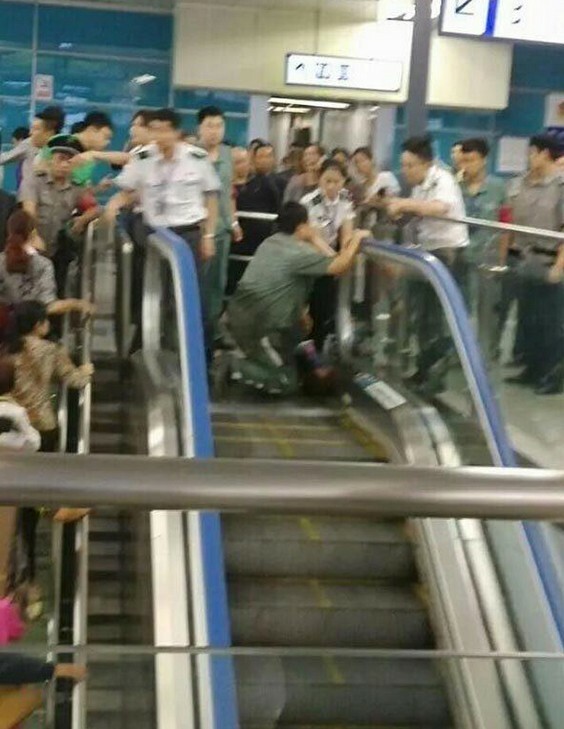 A spate of escalator incidents following the mishap has heightened concerns over escalator safety in China. 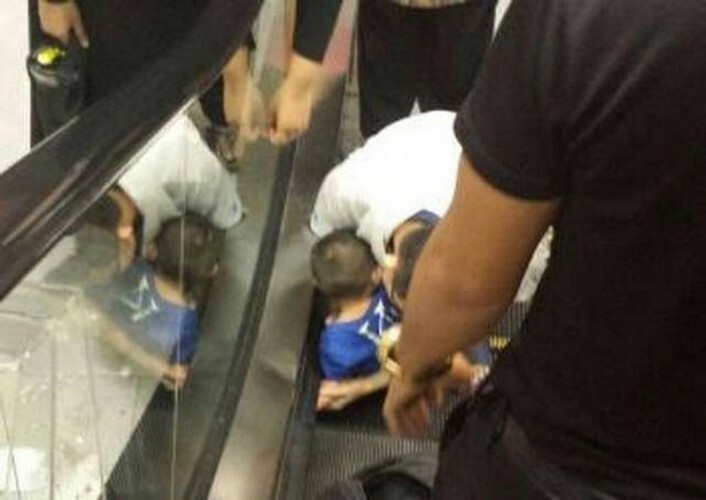 The boy's hand was "sucked" into the side of a moving escalator at the Gateway shopping area in KLIA2 on May 13. 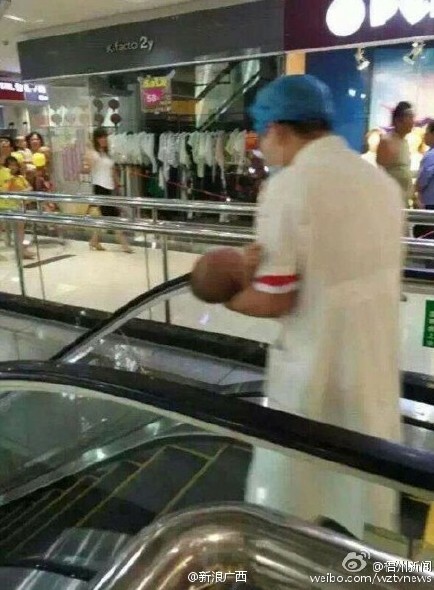 "The escalator kept moving, even with our hands stuck. 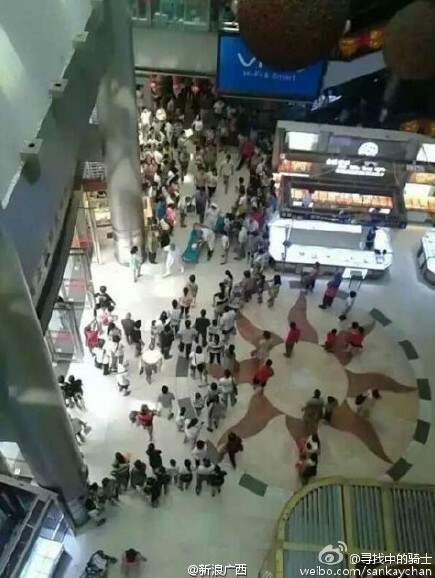 Thank God, someone pressed the emergency button to stop it," said Aw Yee Wah, who was with her engineer husband Tan Ken Siong, 37, and their four-year-old son, in KLIA on May 13. 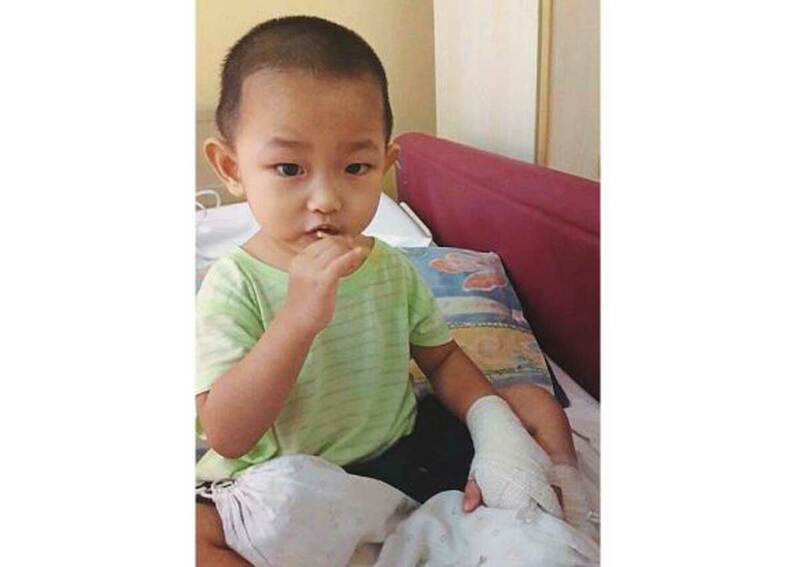 Tan Chee Heng is recovering from surgery after his hand was trapped in an escalator at the Gateway shopping area in KLIA2 on May 13..
A child lost his life after he was caught in an escalator at a train station in Chongqing on Thursday, Oct 8. The incident occurred at about 11am. 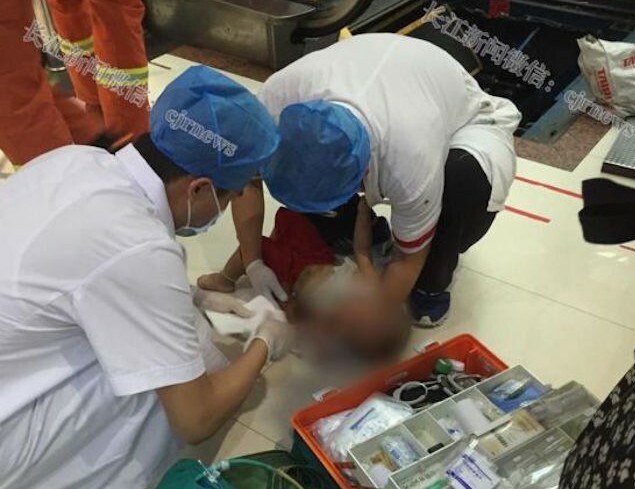 The child, a four-year-old boy, had been playing near an escalator when he got stuck between the escalator's handrail and the ground, Chinese news portal Sohu News reported. 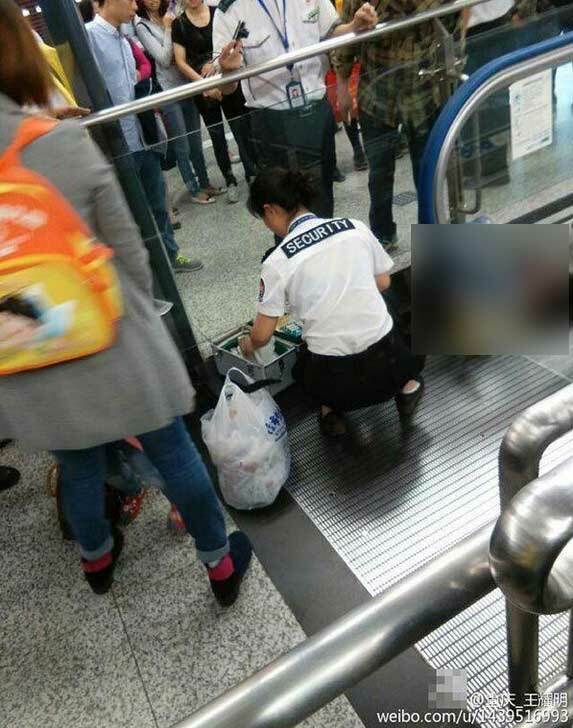 According to online reports, personnel at the station responded immediately by suspending the escalator service and trying to save the boy. 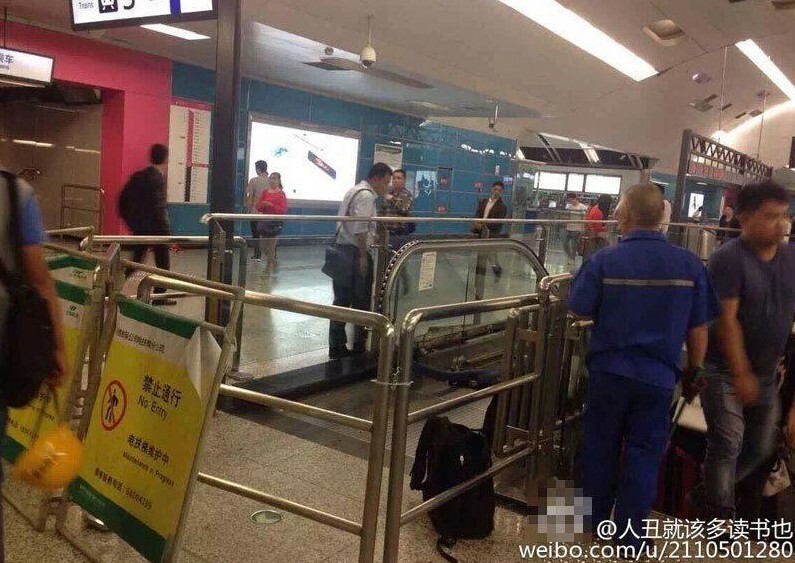 Workers managed to remove the boy's body from under the escalator and he was quickly rushed to a local hospital. 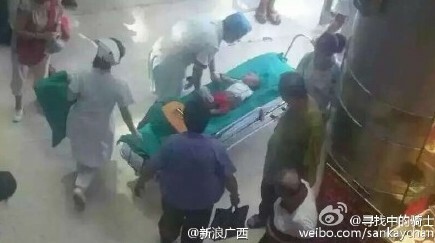 But it was too late, and a paramedic was quoted in Sohu News as saying that the boy had died before reaching the hospital. The paramedic said that by the time the boy reached the hospital, he no longer had a heartbeat. 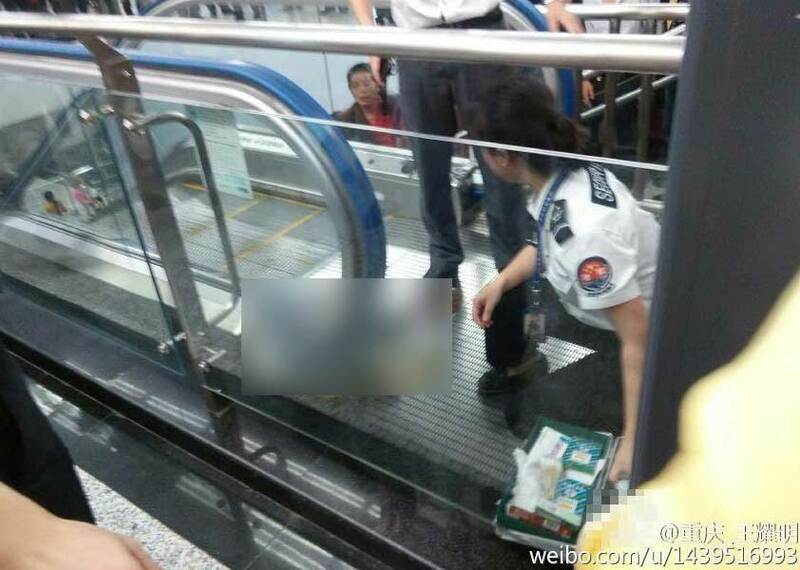 The incident is the latest in a string of escalator mishaps in China in the past few months. 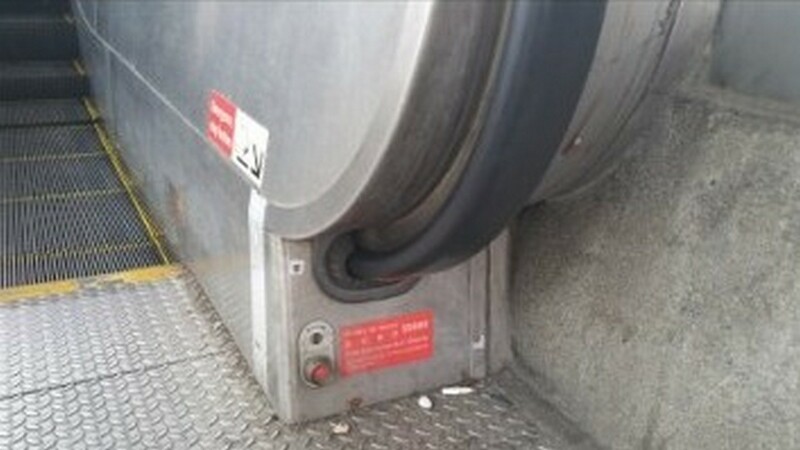 Click on to read about other escalator accidents. 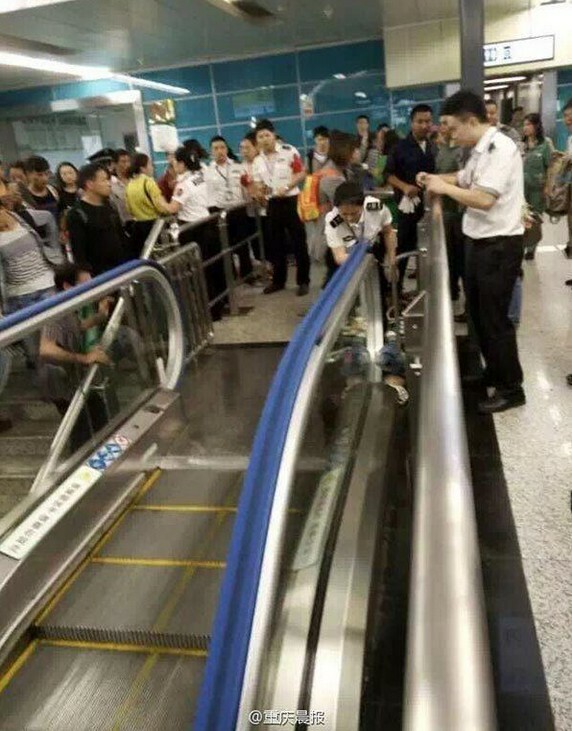 Commuters using an escalator in a Shanghai subway station on Tuesday afternoon panicked when one of the steps suddenly tilted up, with some screaming and crying, and others frantically trying to get off the machine. 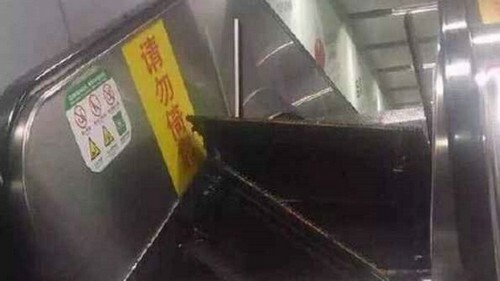 Fortunately, the escalator in the Hongkou Football Stadium station quickly came to a stop automatically, and no one was injured, reported the Shanghai Morning Post. 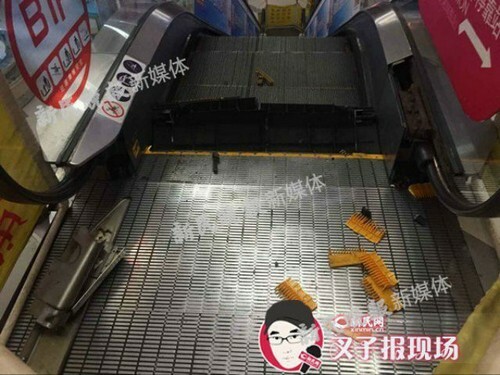 The escalator incident was the second in the eastern Chinese city this month, coming after another on Aug 1 in which a cleaner working in a shopping mall had his foot trapped in the section of an escalator where the steps meet the floor plate. 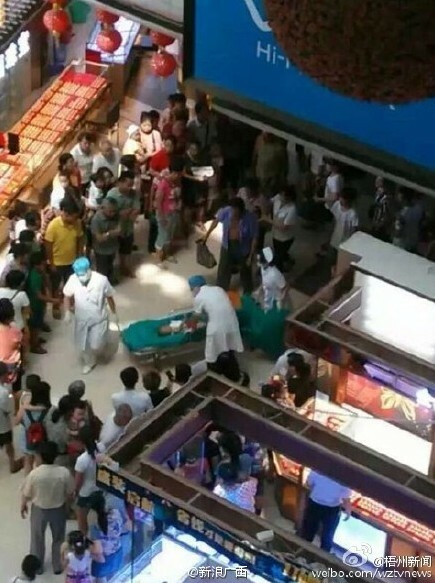 A week before that, a 30-year-old mother died after she fell into a gap at the top of an escalator at a shopping mall in central China's Jingzhou city, as the floor plate had come loose. 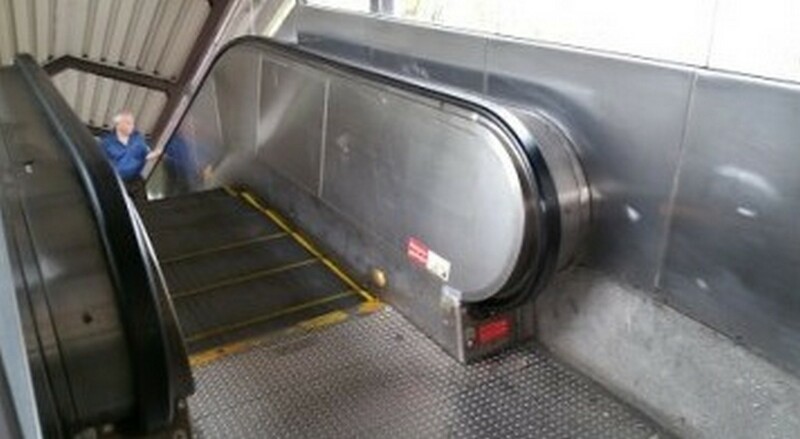 Click on to read more about other escalator mishaps. 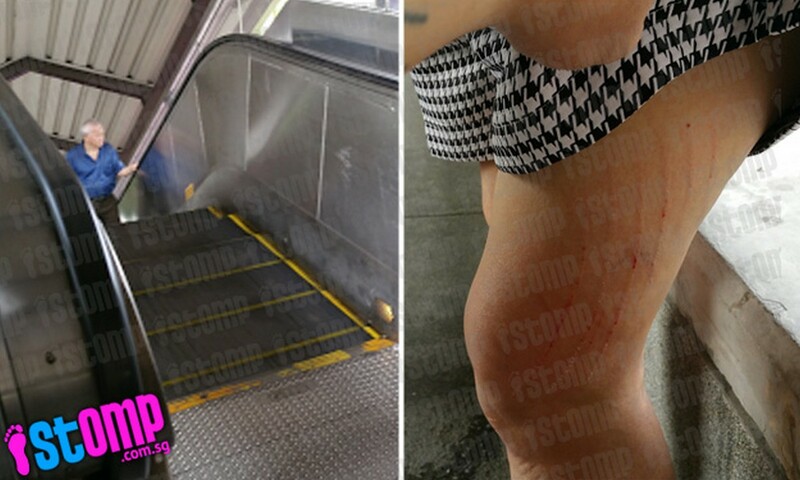 A woman was hurt after falling from an escalator of an overhead bridge opposite Marsiling MRT station. 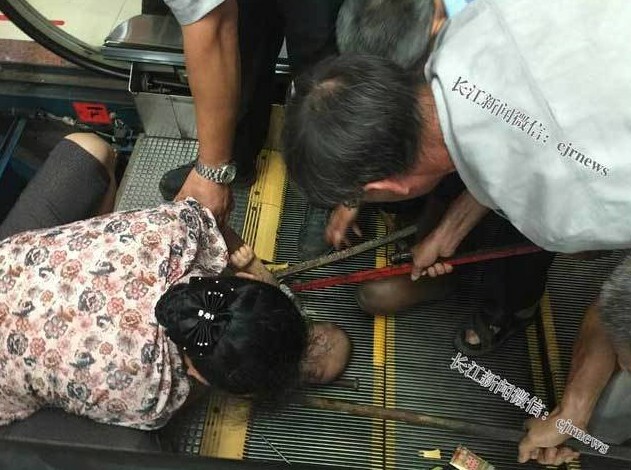 According to a Stomp contributor named Vincent, his 56-year-old mother was holding on to the belt of an upward moving escalator, when it suddenly jerked backwards. 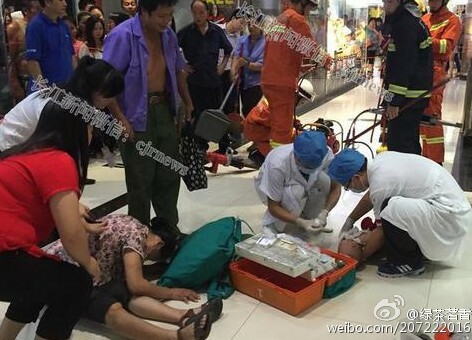 The woman then fell back four to five steps before another person at the back broke her fall. 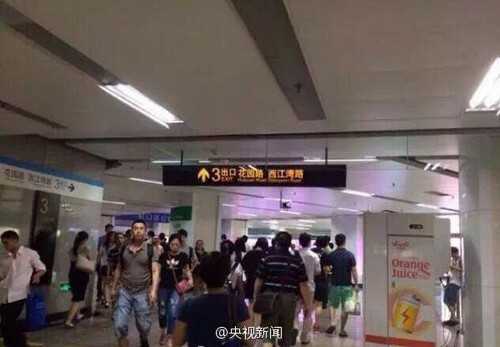 The unfortunate incident occurred on Sunday, Aug 9, at around 2pm. 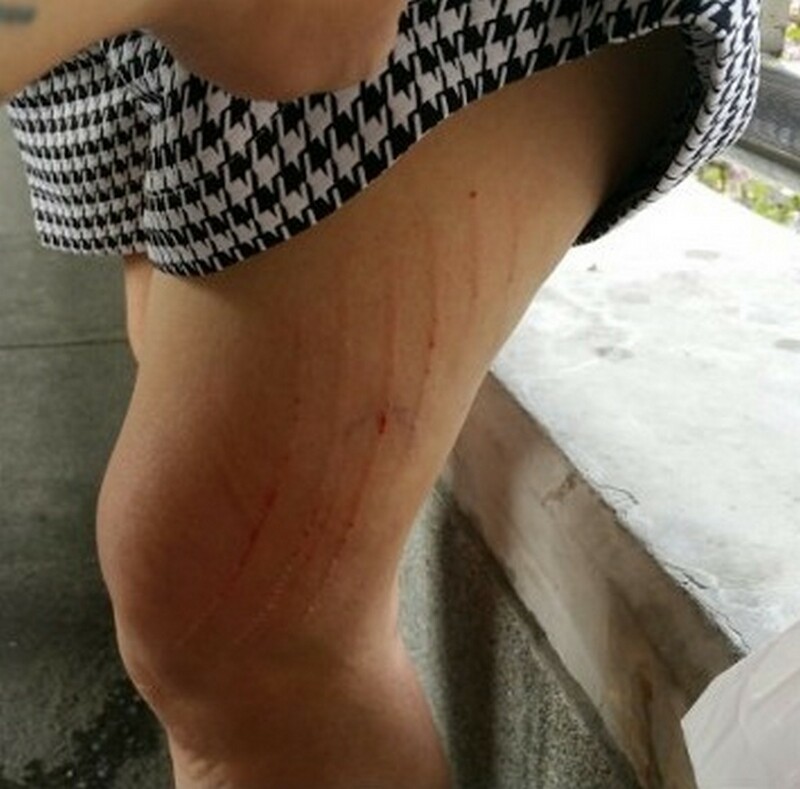 The incident left her with bruises and cuts to her limbs as well as a knock on her forehead. The contributor said via an email: "It was so lucky that someone held her back, or else she would have fallen all the way down." 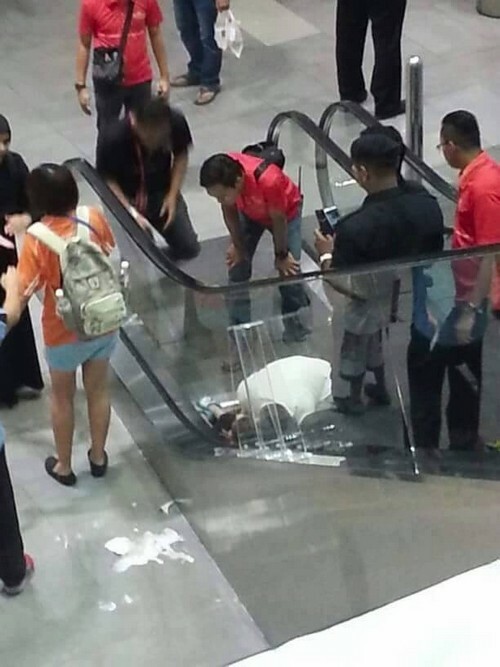 A cleaner's leg had to be amputated after it got stuck in an escalator at a shopping mall on Saturday (Aug 1) night. 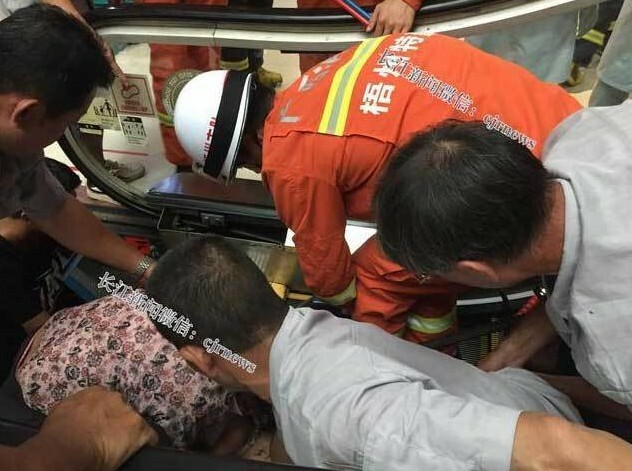 The 35-year-old man was cleaning the steps on the escalator from the basement two to basement one levels at the mall in Zhongshan Park when his left calf somehow got wedged between the top step and the floor panel. 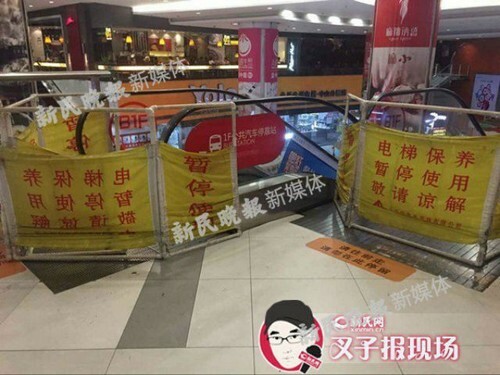 Xinmin Evening News reported that the escalator, manufactured by the Shanghai Mistubishi Elevator Company, was halted immediately and the man rushed to hospital, but his leg was so badly damaged that doctors had no choice but to amputate it. Click on for another story of a separate incident. 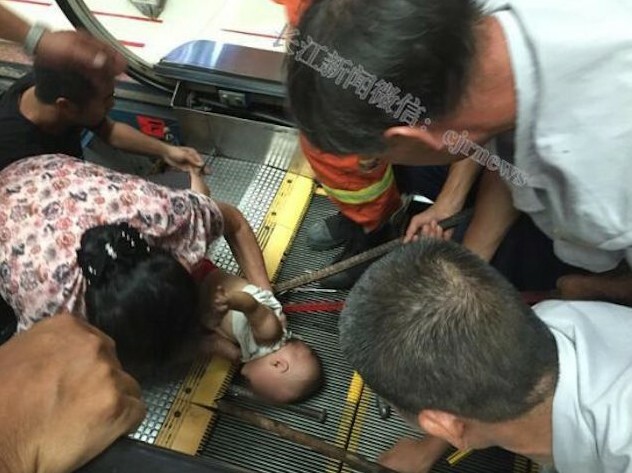 A one-year-old's left arm was caught in the stairs of an escalator in a shopping mall in China's Guangxi region. 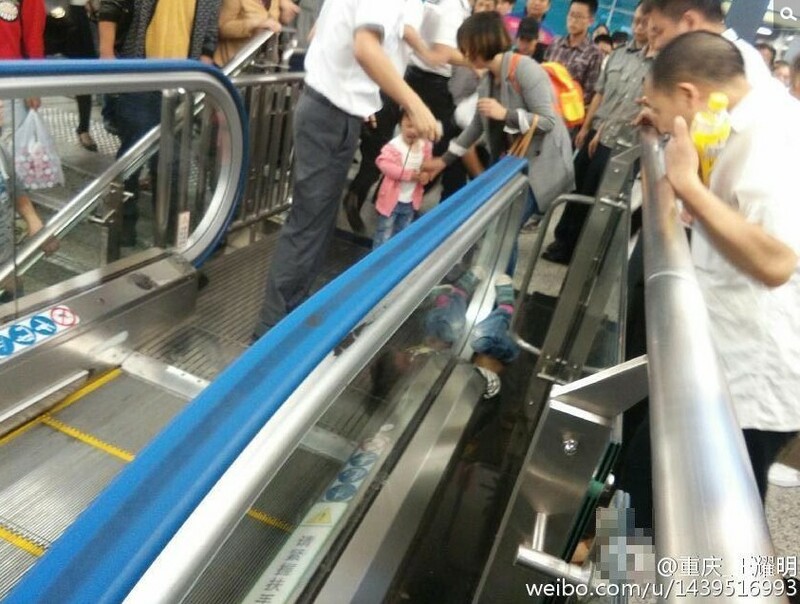 The incident comes just a day after a woman plunged to her death after riding an escalator in a mall in Hubei. 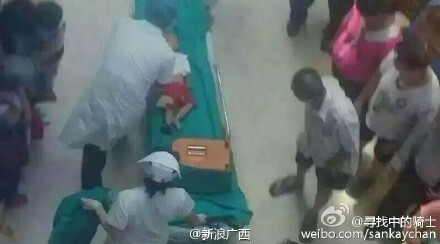 Rescuers managed to pull the child's arm out half an hour later. His hand was mangled in the incident. 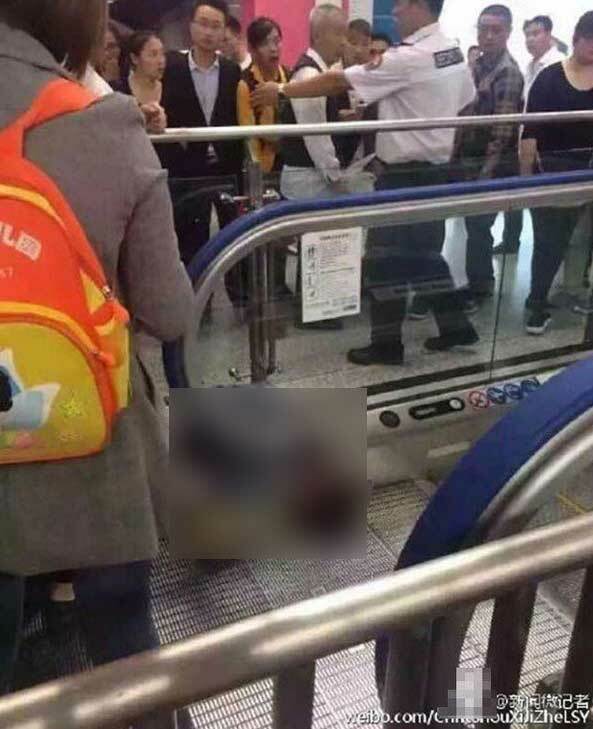 Some reports said the boy had ventured to the escalator in the shopping mall in Wuzhou city when his parents were resting. He tripped when he was trying to get onto the escalator. 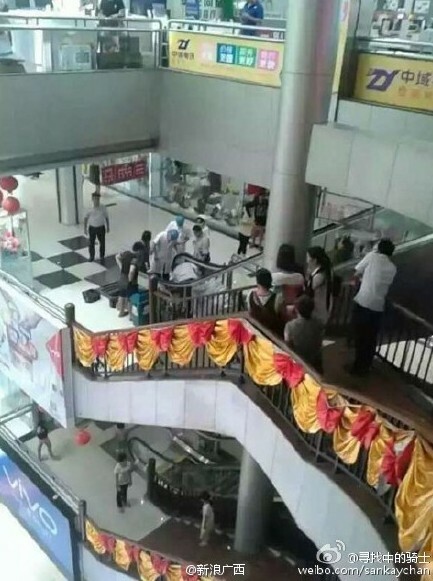 The incident came one day after a woman plunged to her death after riding an escalator in a mall in Hubei's Jingzhou city. The floor over the escalator in the mall gave way when she stepped on it. The horrific accident made international headlines after footage from a security camera in the mall went viral. The two incidents have sparked safety concerns in the country.